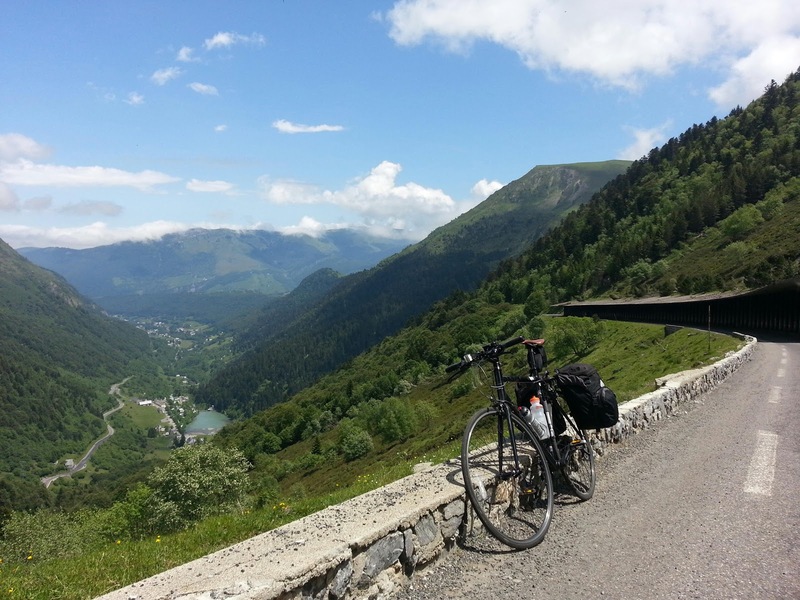 We rolled gently out of Lourdes, legs blessed and raring to go. A quick 10k to the first little climb on the road we followed the day before, affording our first spectacular views of the snow-capped Pyrenees. 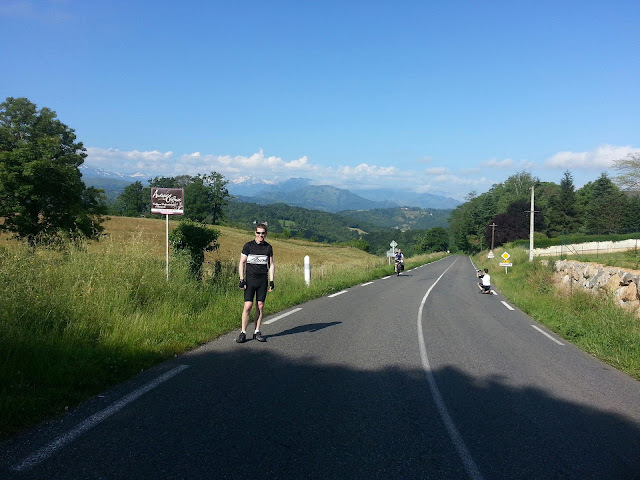 We turned South at Montgaillard towards Bagneres de Bigorre and the Vallee de Campan. 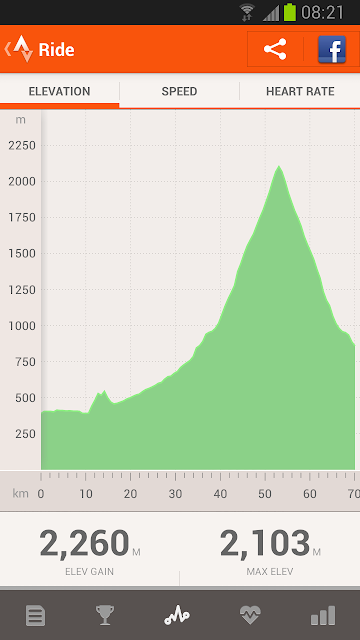 The road climbed through a beautiful valley, gently at first, then progressively steeper (nothing like later though). 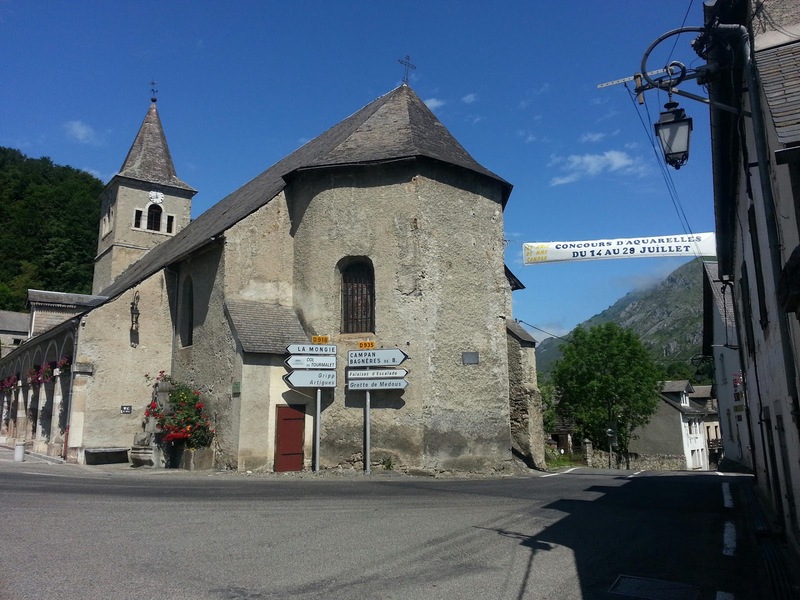 We soon stopped at Sainte-Marie de Campan (also our final destination), scoffing a baguette and a pastry before deciding *not* to drop off our panniers at the hotel before our ascent of the Col du Tourmalet. Blind stupidity? What followed was brutal. All but the last 2km in baking heat, a constant sheen of a mixture of sweat and sunscreen. Three hours of climbing to the top, stopping regularly en route to catch up with each other, take on food/water and simply to rest. 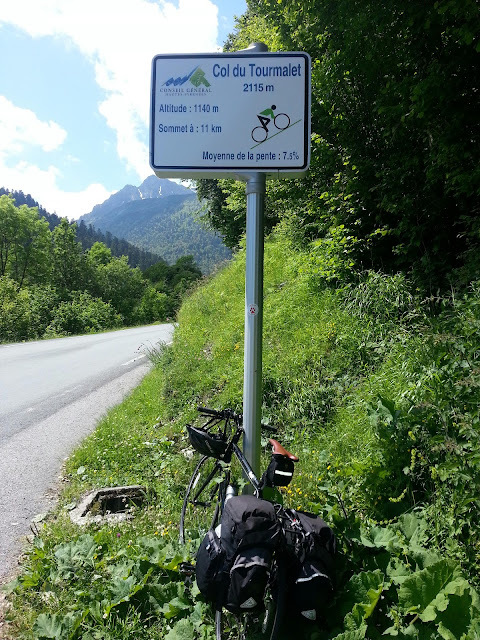 The panniers certainly made it harder, but the rising gradient was the killer. Signs at every kilometre informed us of the next K's profile: 7.5%, 8%, 8.5%... 10%, and how much height yet to gain. We had a prolonged break at La Mongie, 4km and 300m from the top. On restarting the clouds descended and the temperature cooled as we passed melting snow and fast mountain streams, then cornered evil hairpins before finally and gratefully reaching the Col. 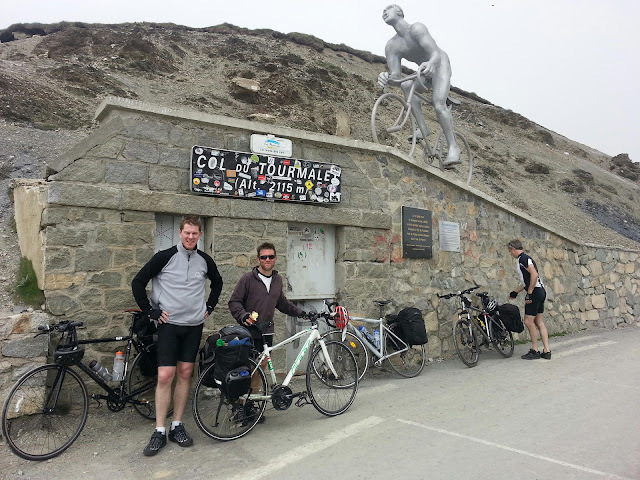 Photos, jackets on, then a 15 minute descent back to Sainte Marie and the Hotel Les Deux Cols... Phew! Which mountain day was toughest?